By now you must know how important it is to be present at certain events from your business field. However, what is equally important is to attract the attention and interest of your targeted audience. This is vital for creating a strong and lasting impression at a trade show through your exhibition stand design. Surely, you’ve heard that first impressions are extremely important when it comes to attracting exhibition stand traffic at a trade show. 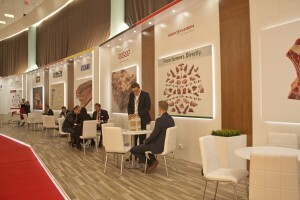 Your business surely has quality product or services to offer but if you’re not able to catch anyone’s eye that all that goes completely unnoticed and your customers might not notice you but go directly into the hands of the competitions just because they presented themselves with a better, more attractive exhibition stand design. 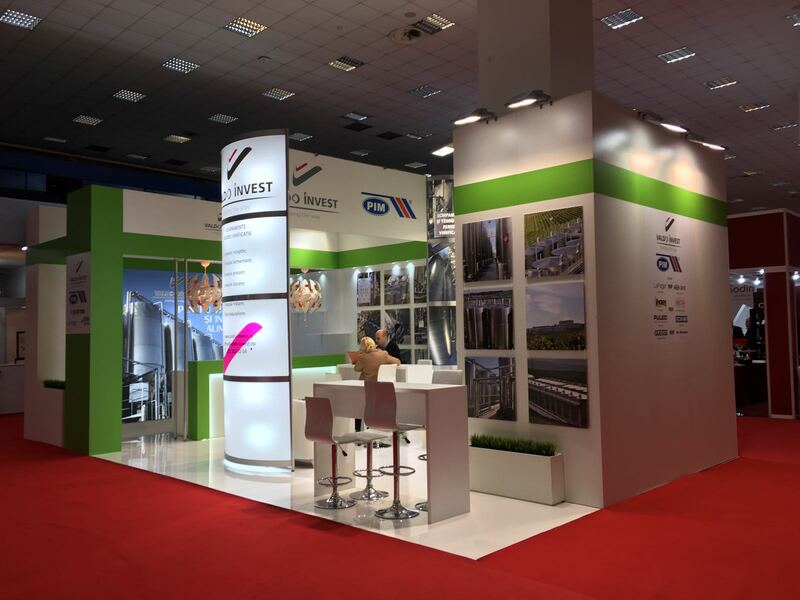 Here you will find a few ideas and strategies for designing a great and eye-catching exhibition stand that will attract customers and will deliver good results for your business. 1. Define your exhibiting goals! The first step is to clearly define why you want to participate at this trade show with an exhibition stand. Do you want to sell more products or services at the trade show? Or do you want to generate more leads? Maybe you’re about to launch a new product and you want to see first reactions and feedback from a very particular audience. Either way, your exhibition stand design should reflect exactly these goals. Make sure you clearly define the reason you are participating at the trade show and the message you want to communicate to your audience with your exhibition stand. Keep these two goals in mind throughout the design process for the stand. Also, don’t forget to include your brand’s personality and image into the overall design. The brand shouldn’t only be represented by colors but also by other elements. Think about your organization’s image, values and products. 2. Design the exhibition stand for your audience, not yourself! Never forget who you’re doing this for! If you haven’t already, make sure you clearly define your targeted audience and research them a bit. Find out what they like and what they respond to and make sure you build an exhibition stand on these criteria! When designing your exhibition stand, it is crucial that you always keep in mind your targeted audience so that you can focus your concept on their wants and needs. It is very easy to fall in the trap of creating an exhibition stand design based on what you like and don’t like. Build it for your audience! 3. Maximize your trade show space! As we already talked about, your exhibition stand design is key in attracting customers. However, a very important part of the exhibition stand design is actually the dimensions it needs to have. When you design your exhibition stand you always need to make sure you take full advantage of the given space. What you need to do is simply to contact the show’s organizers and check (and double check) the dimensions your exhibition stand should have. You don’t want to show up with a stand that is too small compared to the others or with one too big to participate at the trade show. Also, depending where your exhibition stand will be placed, you might benefit from a higher design. Why not take advantage of this design opportunity? It’s not all about the dimensions on the floor, height is an essential part of the design as well! Take advantage of this and rise above the competition with your exhibition stand design! If this is in fact a possibility for you design, make sure you display your logo and signage across the trade show hall. You can do so by creating a high arch for your display area. 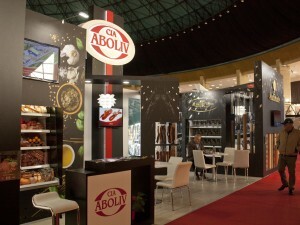 Another idea is to build a tall central tower in your exhibition space or even to use a top truss with a rotating sign! However, make sure you optimize your exhibition space by not having any physical barriers on the entering point. Think billboard here! People are going to walk by many texts and messages and they won’t have the time or the interest to read them all. Less is more here! You need a message that is short but also that has the ability of catching the eye and the interest of the person walking by! Be as creative as possible here! Be sure to use a message that is as succinct as possible. There is actually no need to use full sentences because sometimes one single word can also have a great impact and capture the audience’s interest. Keep in mind also that the use of action verbs is known to have a particularly effective impact and can be highly eye-catching for your targeted audience! Another aspect to consider here are fonts! They need to be large and clear enough so that your message can be read by people that are not only at a distance but also moving. Also, make sure that your main message is placed on the top half of your exhibition show display because it needs to be visible event if there are people in front of your booth. Just like a single world can be more impactful than an entire phrase, a great image can help convey complex and attracting messages and ideas quickly and effectively without the need for any more text. Be creative and think of the message you want to send to your audience. Can you resume your brand’s values in one relevant and powerful image? Keep in mind that for an exhibition stand design, images can actually be life-sized which has been proven to be highly efficient amongst customers of all types. What you need to do is to always keep in mind your targeted audience and what they are likely to respond to. Also, don’t forget to take into consideration the most optimal placement for your graphics. As with the text we mentioned before, this needs to be seen from a distance and understood rather quickly. The message it conveys should be immediately transmitted in a creative, smart and attractive way. First of all, having lights within your exhibition stand will help you enhance texts and graphics. Lighting allow visitors to clearly read your message and to view displays accurately. 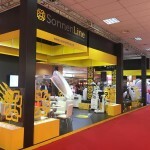 However, lighting can also create a specific atmosphere and identity for your exhibition stand design. It can also highlight the most important areas of the exhibition stand and it can highlight in an amazing manner your new products and a specific service you want to bring attention to. 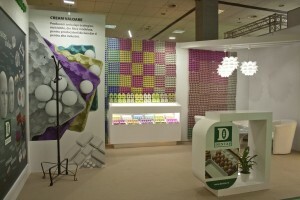 As with any other element of your exhibition stand design, feel free to be as creative as possible! Maybe you want to include angled light boxes at the entrance to attract newcomers. Another way to go could be colored lighting that can bring out different parts of your exhibition stand and attract the eye of your customer in a unique way. Be as creative as you want! 7. Tech up your exhibition stand! Besides the classic elements mentioned before, you should also take into consideration new and modern technologies that can also be applied to the trade show environment to make your exhibition stand really pop! You can implement a digital signage at the front of your exhibition stand or maybe have some interactive touch screens with which people can interact in a fun way while also learning new and interesting information about your product or service! These types of element can be used to attract attention but also to inform customers in a unique way, to present live moments from the stores or anything else you can think of. You can be creative with these elements as well! Another tech tool you can also use at a trade show is proximity marketing! As people walk by your exhibition booth, messages are automatically sent to their mobile phones! These messages can contain special offers regarding a sale that only lasts one hour or that is only available at this trade show at this exhibition stand or any other message that would attract them to visit your stand and interact with your products! 8. Let people interact with your products or services! This is a great opportunity for attendees to interact and really analyze your products or service so why don’t you make it as easy for them as possible? This is your chance to test your products out and see how a targeted audience reacts in real time. Gather feedback, answer and also ask questions, assist them in the discovery of the products! If you happen to have a product or service that can be easily demoed, the try to show customers its real-time value! Think of it as the perfect pitch to your customer! You need to focus on the value you can offer to the audience, not on the features. Involve the audience and create some buzz around your products or services!